Based in Calgary, Alberta, Emerald Management & Realty Ltd. is one of the city’s leading property management firms. Professionals at Emerald Management & Realty Ltd. are dedicated to protecting the investments of their property owners as well as overseeing tenant satisfaction. 1. Make sure your smoke detectors contain a charged, undamaged battery. To test the battery, push the “test” button on your alarm. If the alarm does not sound when the button is pressed, the device needs a fresh battery. Smoke detectors need to be replaced every 10 years. If you are not sure how old it is, replace it. 2. A closed door may slow the spread of smoke, heat and fire. Install smoke alarms in every sleeping room and outside each separate sleeping area. Install alarms on every level of the home. 3. Plan an escape route, then run fire drills. If possible, figure out two ways to exit every room, even if that means out a window. Make sure everyone in the household understands and can run through the escape route. The practice should include the post-exit meeting place outside. Smoke detectors save lives. Smoke detectors that are properly installed and maintained play a vital role in reducing fire deaths and injuries. If there is a fire in your home, smoke spreads fast and you need smoke alarms to give you time to get out. Drawing upon more than 40 years of professional service, Emerald Management & Realty Ltd. manages the rental properties of owners and investors with commercial and residential real estate in Calgary, Alberta, Canada. Emerald Management & Realty Ltd. takes pride in ensuring the safety of its tenants by providing regular smoke detector checks and sharing information on how to conduct them. It is important to regularly check the efficacy and functionality of smoke detectors on one’s property, as doing so can mean the difference between life and death in case of fire. According to the National Fire Protection Association (NFPA), smoke can spread quickly throughout a space, and many fire-related tragedies occur each year on properties where smoke alarms are disconnected or faulty, do not have working batteries, or are missing from the properties altogether. Having several working smoke alarms can allow for enough warning to get everyone out safely. 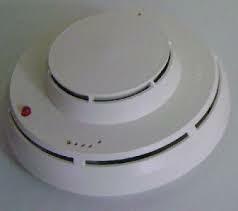 The NFPA recommends installing smoke detectors on each floor of a building, as well as in any rooms used for sleeping. 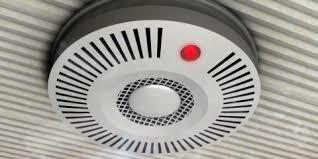 Additionally, smoke detectors should be regularly maintained, checked at least monthly, and replaced every 10 years. Based in Alberta, Emerald Management & Realty Ltd. provides property management services in the Calgary area and beyond. Emerald Management delivers services appropriate for single-family homes, apartments, condominiums, townhomes, duplexes, homeowners associations, and commercial properties. Emerald Management & Realty Ltd. also provides career opportunities for individuals interested in the business of property management. As the name suggests, property managers manage property. They are usually hired by the property owner, investor, or decision-making body to tend to the day-to-day business of the property. In the residential context, this may involve overseeing the maintenance of a building and its personnel, leasing the property, and resolving tenant or employee concerns. For those interested in real estate but looking for a more stable career than sales or investing, property management might be an ideal fit. Here are three benefits of a property management career. 1. You won’t be bored. Because overseeing property involves a variety of different tasks throughout the day, the property management job is never boring. In a typical day, a career in property management may involve anything from administrative tasks like preparing leases or financial reports to inspecting properties and handling tenant issues. The job is as varied as the issues that may arise. 2. You won’t be stuck at a desk all day. One of the property manager’s primary duties is to make on-site visits to the property. For rental properties, particularly in large complexes, they will likely also have to show the property regularly. Property management may be a good fit for a high-energy person who likes to interact with others. 3. You can advance in your career. As the real estate and rental markets expand, so too does the demand for property managers. The career secure, and it provides opportunities for real on-the-ground training in the needs of the properties managed and the real estate industry in general. A property manager who develops expertise in the field may be able to take on more responsibility in his or her career. For career opportunities with Emerald Management & Realty Ltd. please visit our website at www.emeraldmanagement.com and check with your local real estate education institute for educational requirement and courses relating to the field of specialty in Alberta, Canada. Emerald Management & Realty Ltd. is a property management firm based in Calgary, Alberta. The professionals at Emerald Management & Realty Ltd. have more than 25 years of experience managing both commercial and residential rentals of all sizes in Calgary. Looking to maximize your tiny studio apartments so that it seems open and spacious? Read on to learn how to make the most of your space. The use of appropriately sized furniture in your small space helps free up room and flow. Cumbersome tables, couches, and chairs can make a small space feel cramped. Scale everything down, especially large items. Look at opportunities to maximize space above and below your furniture. Keeping furniture and artwork low makes the ceiling seem higher. Similarly, furniture with long, thin legs lets light and air flow through and creates an open feeling. Perhaps most importantly, natural light and mirrors always make small rooms feel less like a box. You can’t always add another window, but skipping the drapes and hanging a mirror can help. If you must have drapes, light colors and airy fabrics work best. One thing homeowner or apartment dweller is looking to achieve is: more space. 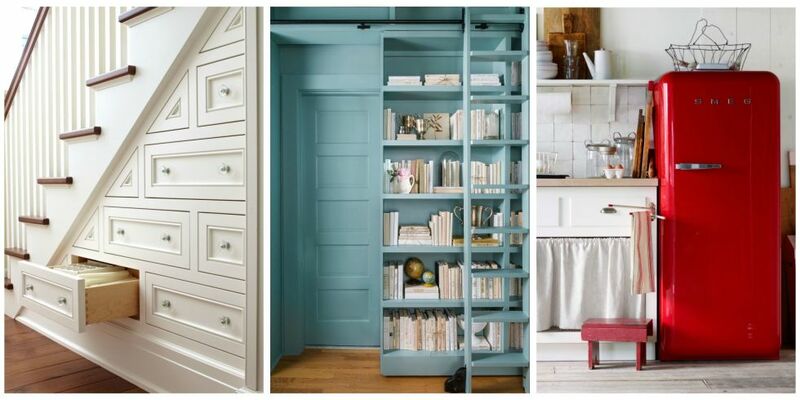 The above are just a couple tips to help create the illusion of more space. Emerald Management & Realty Ltd. helps people in Calgary, Alberta locate quality apartment homes for rent. Through its attentive management practices, Emerald Management & Realty Ltd. aims to provide excellent services for building owners and tenants. For a tenant, moving into a new apartment can present several challenges. One of the challenges might be living in a smaller space than one might be used to. However, there are a number of techniques people can use to maximize the available space in a small room as well as make the room appear more spacious. For example, it’s often a good idea to scale furniture to the relative size of the room. Smaller pieces of furniture can make the room appear more spacious than larger pieces of furniture might. Additionally, plan your layout of the room so that everything has a designated spot. This helps prevent clutter, which can make the room seem cramped and messy. One thing that can help with avoiding clutter is to choose pieces of furniture that have more than one purpose. For example, some ottomans include storage space that can provide a home for a number of items. Finally, try to take advantage of vertical space, such as by using wall shelves. They provide additional storage space without taking up much room. For more than 40 years, Emerald Management & Realty Ltd. in Calgary, Alberta, has been providing comprehensive management services to a broad range of properties. During that time, Emerald Management & Realty Ltd. has encountered the full spectrum of household problems, including water leaks. In order to conserve water and save on water bills, individuals should know how to check for major water leaks. To check for a major water leak, individuals should first turn off all water-using appliances, including sinks, showers, and washing machines, as well as any outdoor equipment that uses water, such as garden hoses. Next, individuals should record the reading on the water meter, wait 15 minutes, and then take a second reading. During the 15-minute interval, no one in the household should use any water. If the meter has recorded water usage after the 15 minutes has elapsed, a significant leak may be present. While a useful testing method, this protocol is only effective for detecting major leaks, as the water usage from a minor leak will not register on a water meter.